In response to community needs, OMNI offers programs in cooperation with school personnel in the school setting. 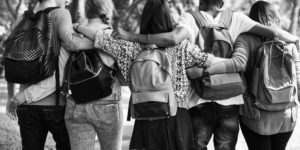 Past programs have addressed both prevention and intervention of areas such as bullying, gang involvement, suicide and substance use/abuse, parenting adolescents, social skills, and the transition to high school. Consultation and program development can be provided for individual school issues or needs. For more information, please contact our Customer Care Specialist at (847) 353-1500.